Occasional writer, full-time art director and lifelong student. 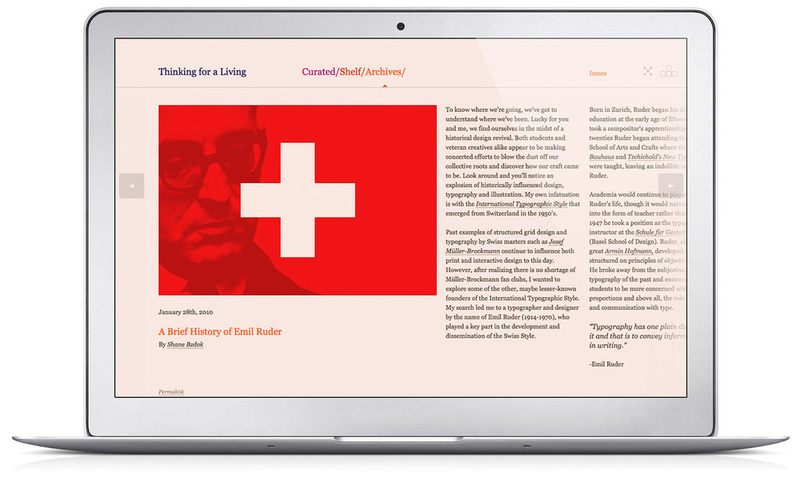 Born out of a gathering in the mountains of New Mexico, the redesign of Duane King’s Thinking for a Living was an exercise in new ways of interacting with content—both short and long—and how that interaction could be more effortless across devices. Over the course of a few days, Duane, Frank Chimero, Ian Coyle and myself worked through the design that went on to become something bigger than I ever thought it could be and an experience I will never forget. In addition to participating in the redesign, I was a regular contributor to the short form blog posts as well as a few feature articles like this one on mid-century designer and typographer, Emil Ruder. 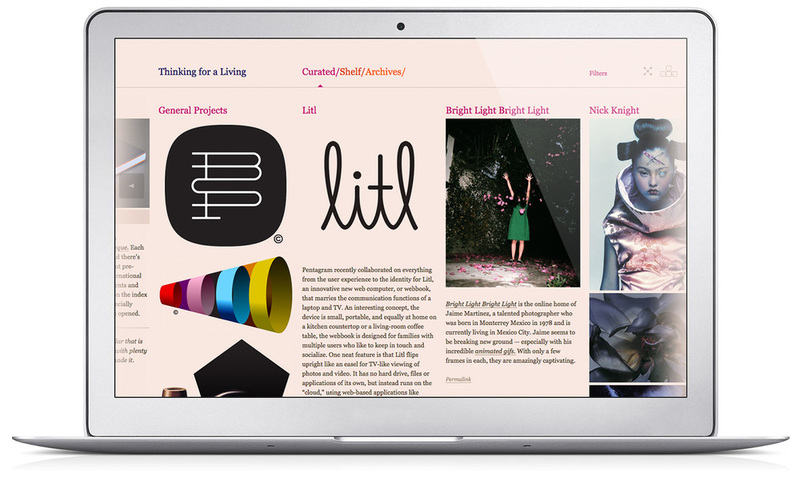 Thinking for a Living is a publisher and curator of thought-provoking design content and a creator of meaningful experiences. We are about spirited creations and seeding great ideas. Good ideas benefit someone. Great ideas benefit everyone. The Thinking for a Living Network is built on friendship, passion and a dedication to the craft of design. The Network is an alliance of like-minded individuals who are experimenting with publishing and education through a series of topic specific sites, conferences, workshops and publications. The Network includes Thinking for a Living, The Grid System, AisleOne, Design Facts, The Design Manifesto, More Substance, and Thought & Theory and is organized by Shane Bzdok, Antonio Carusone, Frank Chimero, Ian Coyle, J. Ellis and Duane King.